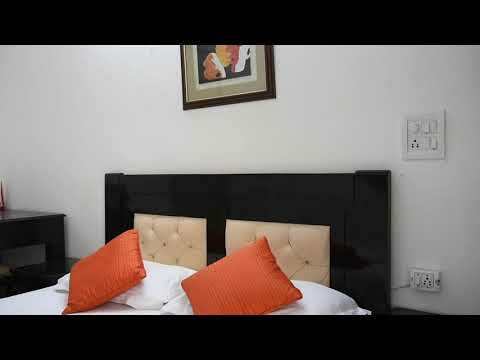 This Service Apartment in Okhla is located in Sukhdev Vihar, around 4 kms from Indraprastha Apollo Hospital, 5 kms from Okhla Industrial Area and Atlantic Water world, 6.5 kms from Okhla Bird Sanctuary, around 3 kms from Okhla Railway Station and about 18 kms from Indiragandhi International Airport. 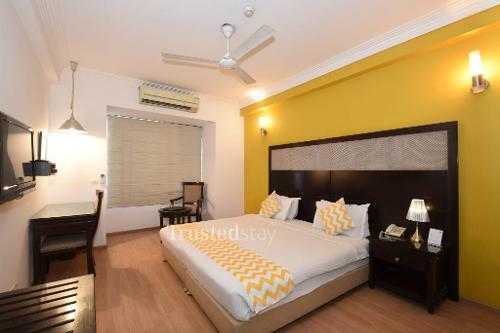 There are few choice of fine dine restaurants around this service Apartment like Malabar Restaurant is just 600 mts, Lotus Pond Restaurant, Carnatic Cafe & Chiang Fast Food Chinese Cuisine is around 1 km away and many more. 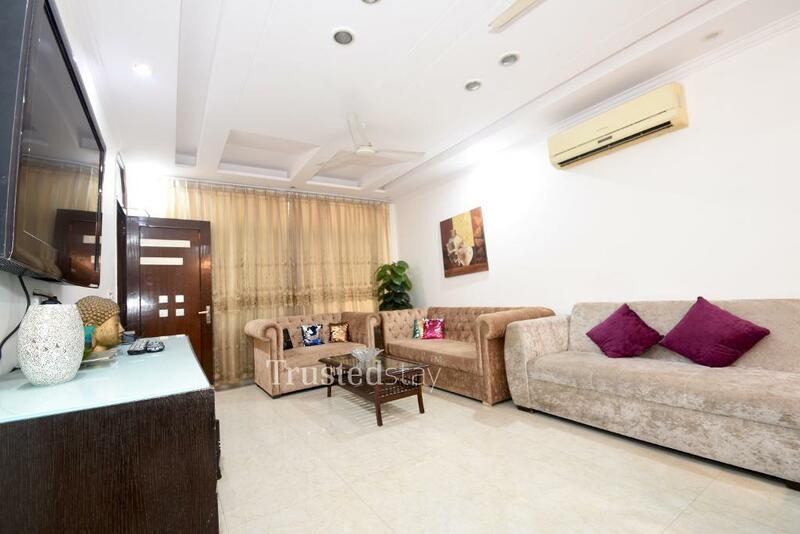 This Service Apartment is located in a independent residential building, offers total 3 rooms from a 3BHK unit on the Ground Floor, all rooms are fully furnished with AC, TV and attached bathroom. 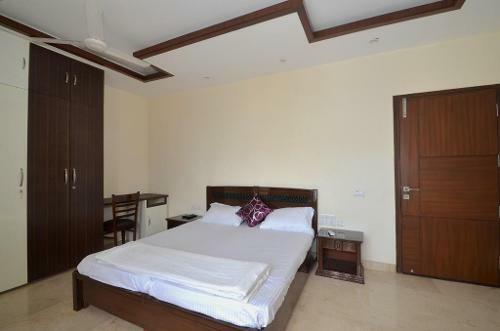 This service apartment has a fully functional kitchen is manned by our own cook who serves breakfast and prepares meals as per the guest request. 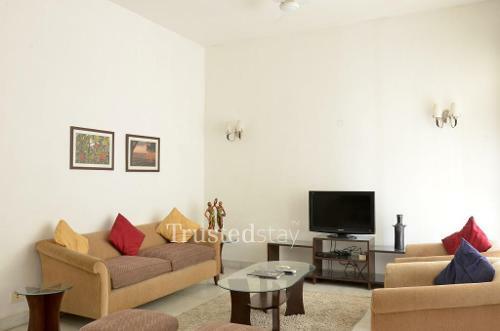 Ideal for Corporate and Family, be it short or long stay.